Media — life at "the e"
DID YOU MISS THIS WEEK? Hope, in the biblical sense, is not mere “wishful thinking”. On the contrary, biblical hope is rooted in the joyful anticipation of the goodness of God being released into your circumstances. In other words, true hope enables you to rejoice BEFORE you see the outcome of your circumstances, even before you realize the answer to what you have been praying for! It doesn’t deny the reality of struggles and pains, it simply denies the problems and pains a place of influence within you life! 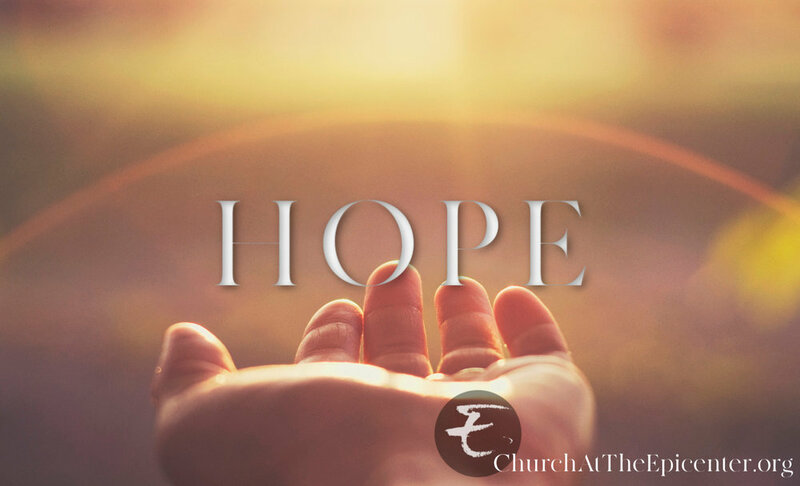 We pray that hope rises in YOUR life, like it did in ours, as you listen to this powerful message! Sunday, March 31st marked the end of the 1st quarter of this calendar year. We have witnessed a supernatural acceleration of spiritual activity within our household of faith, over the past 3 months. Listen in today as Pastor Kyle shares a word he received from the Lord concerning what has happened, is happening, and what will be happening within the Church, as we move forward in 2019! When Jesus was asleep on the boat, the disciples were awake in fear of the waves that were crashing over. When Jesus was praying in the garden, the disciples couldn't keep their eyes open and fell asleep. With the things that are important to God, are you awake or asleep? Listen in as Pastor Kyle unpacks this loaded question. This week, we unlocked a key to the Kingdom of Heaven. This principle has been something Pastor Brandon has been learning and growing in over the past 2 years, but something that has been revealed to be bigger than he ever knew over just the past 3 months. We hope you’ll join us in learning about the radical importance of having a life that dwells IN THE SECRET! Listen in todayas Pastor Kyle concludes his powerful message … The Lost Language! The Key? Understanding The E … kklesia! What is the connection between Genesis 11, Exodus 13, Matthew 16, and Acts 2? Is it possible that one of the most controversial topics of the western culture Church is actually a key, fundamental piece of the Armor of God? Listen in as Pastor Kyle unlocks a powerful revelation of the Kingdom with this message … The Lost Language. So many churches speak of wanting a greater measure of God’s presence and power to be manifested in their church. Around Church at The Epicenter, it has been taught and taught … the greater the Kingdom order, the greater the Kingdom honor; and the greater the Kingdom honor, the greater the presence of the King! Today, we honor God’s appointment of a new elder an a new deacon within our household of faith. Not only that, we honor ALL of the elders and deacons who serve the people of The E. In addition, we commission a brand new partnership ministry, and share in the ordination of the 3 men called to lead that ministry forward into all God has set before them. God-appointed servants who are willing to lay down their lives to answer the call … the essence of true leadership! God is re-establishing the government of His Kingdom upon this earth, and there is about to be a demonstration of the SUPERIOR over the inferior, unlike anything that has ever been witnessed among mankind. Are you positioned and prepared to be a part of The New Era of Glory? Sometimes God wants to show His Church the truth and not just speak it through the words of men. Click the link above and watch as, this week, God did a little bit of both. The key to “finding” the Lord is, and has always been the same … a sincere, focused, humble and pure heart. We must INTENTIONALLY set aside time for Him in our busy lives, and make room for Him in our hearts. Often times, that kind of “seeking” will demand that we move well beyond our comfort zones; a willingness to sacrifice those worldly things that make our daily lives so “convenient”. Listen in today, as Pastor Kyle challenges us to SEEK GOD with all that we have in 2019! Despite much of today’s popular teaching, favor is not “for your sake”; rather, its “for the sake of” … others! Regardless of what form the favor of God takes in a believer’s life, it is never God’s intent that His favor end with you. On the contrary, God trusts His favor TO you, that it might flow THROUGH you for the sake of others. 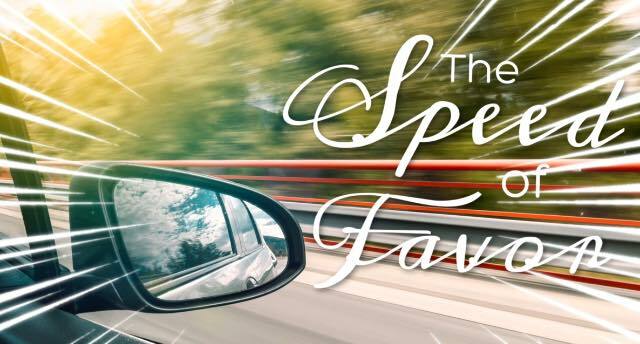 Listen in today as Pastor Kyle challenges us to rightly STEWARD all we have already received from God, that we might learn to live at … The Speed of Favor! Each year, on the Sunday following “New Year’s Sunday”, we celebrate what we call “Vision Sunday” … the morning where Pastor Kyle releases the word God has given him for the people of Church at The Epicenter, for the coming year. This has become one of the most exciting days of each calendar year, as the Body of Christ rallies around a unified vision of what the Lord has in store for us in the days ahead. Just like, in the physical realm, there is “The Speed of Sound” and “The Speed of Light”, today we are challenged to consider that, in the spiritual realm, there is “The Speed of Favor” … a divine pace at which God sovereignly releases and increases His favor upon His people. However, while God LOVES all people the same, not everyone chooses to live at The Speed of Favor! Join us as Pastor Brandon continues to share what God has invited His Church to step into with full force in 2019. 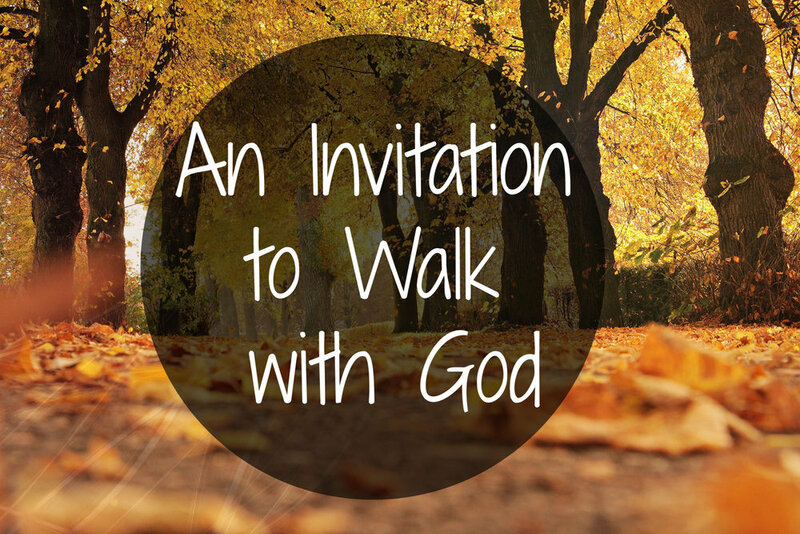 This is an Invitation to Walk Tangibly with God! As we move into 2019, we believe that God is calling His Church back into a tangible relationship with His like Adam, Enoch, Noah, Moses and many others had throughout the Old Testament. This invitation is not a fantasy, it's literal! Man Can Walk With God! Listen in as Pastor Brandon breaks this invitation down and challenges us to accept step into it. From all of us at The E to all of you listening in, we wish you a very Merry Christmas! We thank you for joining us every week through podcast, and we continue to pray blessings over you as we move into the new year. 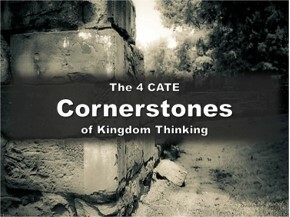 This week, Pastor Kyle concludes his end-of-the-year series entitled … The 4 CATE Cornerstones of Kingdom Thinking. Over the past several weeks, we have examined the 4 core values that make up the foundation of our church. Corresponding to each value, there is a measurable behavior that proves that we TRULY believe what we claim. This week, Pastor Kyle reveals the behavior that demonstrates our belief that, indeed, Every Person Is Significant … Serve Well! Today, Pastor Kyle begins teaching on the 4th CATE Cornerstone that must be in place if we are truly committed to Kingdom thinking. And, quite honestly, it is the most difficult to embrace! In today’s world, we are surrounded by people who say and do some pretty inhumane things … things that tear down, hurt, divide and even destroy others. Yet as believers, regardless of that fact, we are commissioned to see the value in EVERY person. Is that possible? The first 3 cornerstones have more to do with all that God has done for US, through the completed and victorious work of Christ on the cross. This one demands something from US that is not in the DNA of the natural man! Listen in, as we are challenged to embrace the truth that … EVERY Person Is Significant! This morning, Pastor Kyle teaches the 3rd CATE Cornerstone of Kingdom Thinking, and the measurable behavior that proves our belief ... Jesus’ Blood Paid For Everything: Complete Trust! If we truly believe that the completed, redemptive, victorious work of Jesus on the cross paid for everything we have, do, or ever will need, then it suddenly becomes easy to trust Him completely; even if/when things don’t make any sense to us, or our prayers aren’t answered in keeping with how WE think they should be! Even when His “promises” to us look different than what WE anticipated, we can trust … completely. Why? Because we truly believe that the radical gift from God, given to us in Christ on the cross, was lacking in NOTHING! God … THANK YOU FOR THE CROSS! Nothing Is Impossible: Take Risks! We are currently engaged in an exciting series of messages entitled … The 4 CATE Cornerstones of Kingdom Thinking. Listen today, as Pastor Kyle teaches on the 2nd core value of Church at the Epicenter, and the definable/measurable behavior that proves that a believer has truly embraced it. Cornerstone #2 … NOTHING IS IMPOSSIBLE: TAKE RISKS! God is Good: Dream Big! At Church at The Epicenter, we believe that every true “core value” of a believer’s life will produce a measurable behavior that proves how deeply we believe what we profess. When such life-changing truths are truly embraced, they cannot help but radically shape how we think and what we value. The #1 core value of our church is the simple truth that … God Is God! Listen, today, as Pastor Kyle reveals the measurable demonstration of that belief in and through our lives!